This bull is a Roosevelt elk having a bite to eat in our pasture. There’s one bull per herd of cows, but the bulls usually don’t stay with the cows. They will generally be on higher ground, keeping an eye out for trouble. Bulls have a very distinct bugle when they want to call the cows or scare off other bulls. 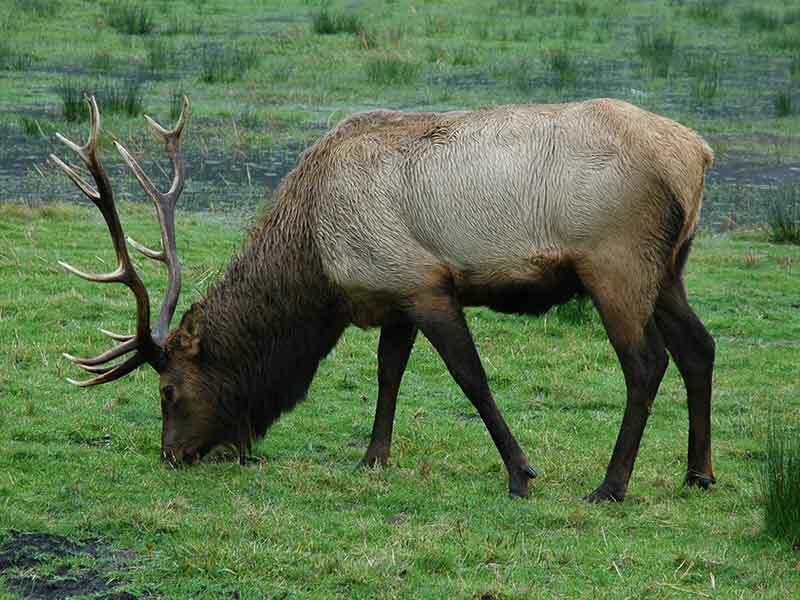 A herd of 30 elk passes through our pasture several times a month. They graze next to our llamas, with neither group seeming to notice the other or even care. My wife (Toni Johnson) took this shot with her Nikon.